Lee's Miniature Golf Course is located along the Lake Huron coast in Alpena: Sanctuary of the Great Lakes. 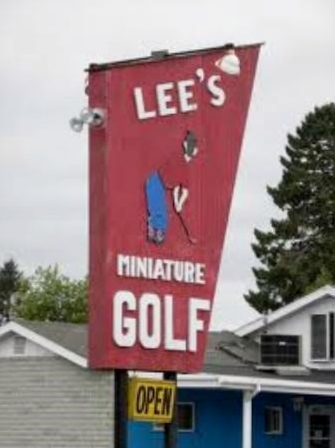 Lee's opened it's doors June 13, 1961, and to this day it is still known as the oldest continuously run mini-golf course in the state of Michigan. It may look simple at first glance, but Lee's proves to be a challenging course with good old-fashioned design that puts your skills to the test. While you're there, enjoy a healthy lunch from the Hungry Hippie's creative menu that includes fresh juices, specialty bowls, & grilled sandwiches made with fresh, organic ingredients. Lee's Miniature Golf and it's Hungry Hippie food trailer are an authentic experience in northeast Michigan's Alpena: Sanctuary of the Great Lakes!